Livin' the Dream: One story - Two Versions - Three people. One story - Two Versions - Three people. Both Josh and I wanted to create a blog to share with our friends and family. In an attempt to catch everyone up, we decided to have an FHE activity where both of us share our version of the last 2 years in our first blog post. Josh's version: She said yes! Its been great! Time flies. Isaac is getting so big. Mary's version: In February 2007 I met Josh for the first time. My mom was visiting and we were just taking a walk outside the apartment complex. I saw Josh heading into his apartment and yelled “Hey, are you new in the ward?” That is the phrase that started this whole thing up I guess. Almost three months later and only having gone one three TOTAL dates; I was left thinking that there was no chance of a relationship with this guy. I decided to do what I had been planning on doing for over a year. I put in my mission papers and got called first to the Utah Provo South mission. I announced this to my relief society for the “good news minute.” A few weeks later the church decided to change my call to the Rochester, New York Church Historical Sites mission…which I also announced in relief society for the “good news minute.” A month later I announced yet another mission call to my relief society sisters: The Multiply and Replenish the Earth Utah, Provo mission. After months of “hanging out,” and a few weeks of what Josh calls “power dating,” we had a temple date set for August 18, 2007. A year and a half later, our sweet baby Isaac joined the family and has been a tremendous amount of fun for the both of us. 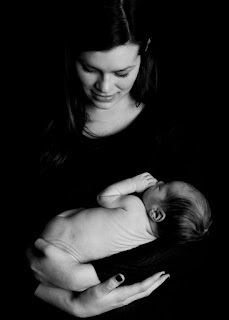 I've included pictures below from Isaac's photo shoot when he was 5 days old. Well, that is our story in a nut shell. Rather than spend months catching up on the past, I plan on simply being consistent from this post forward. 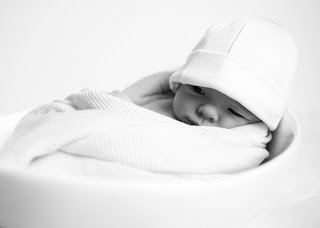 Ohh I love his newborn pictures! Those are so cute. He's a doll! Your pictures are so cute! I miss you guys! FINALLY!!! 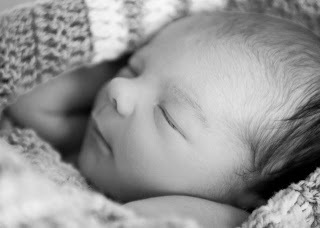 I get to see pictures of the cute little boy! I am so excited for you three. What a cute little family.